Continuous miniaturization in electronics resulted in portable technologies such as tablets and smart phones which have greatly enhanced the life quality of the modern society. However, the discomfort associated with the small display screens of such devices remains. The recently emerging near-to eye (N2E) or head worn displays (HWD), with their potential for providing a large field of view (FOV) while preserving mobility, shine as one of the most promising technologies for the future of human-computer interfaces. However, traditional designs suffer from fundamental optical limitations that mandate a compromise among the most important performance metrics: FOV, resolution and form-factor. The ERC funded Wear3D project conducted in OML precisely targets to overcome those limitations and bring the technology to its ultimate form. Spinned off from OML in 2016, Augmency aims to develop next generation wearable display technologies and products to shape the future of human-computer interaction and has made itself its mission to develop affordable state-of-the-art AR-devices as well as standard-setting software platforms for the fast growing industrial AR-market. Our first product CYCLOPS is an untethered head-mounted AR platform utilizing a laser beam scanning projector, a variety of cameras and sensors for ambient intelligence as well as on-board mobile computing to locally capture and process data that the operators on-duty require. 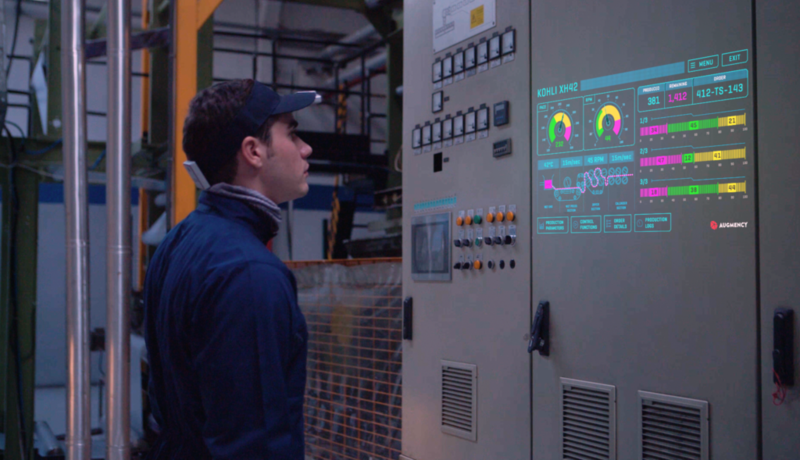 With no viewing discomfort or fatigue, no occlusion of the user’s vision, and with redundant on-board battery management capability, it is the best fit for a large array of industrial applications. Besides, our patent pending MIRAGE SCREENS technology are the future of extremely large Head-Up Displays. In this project, a 3D display and imaging system is being developed. 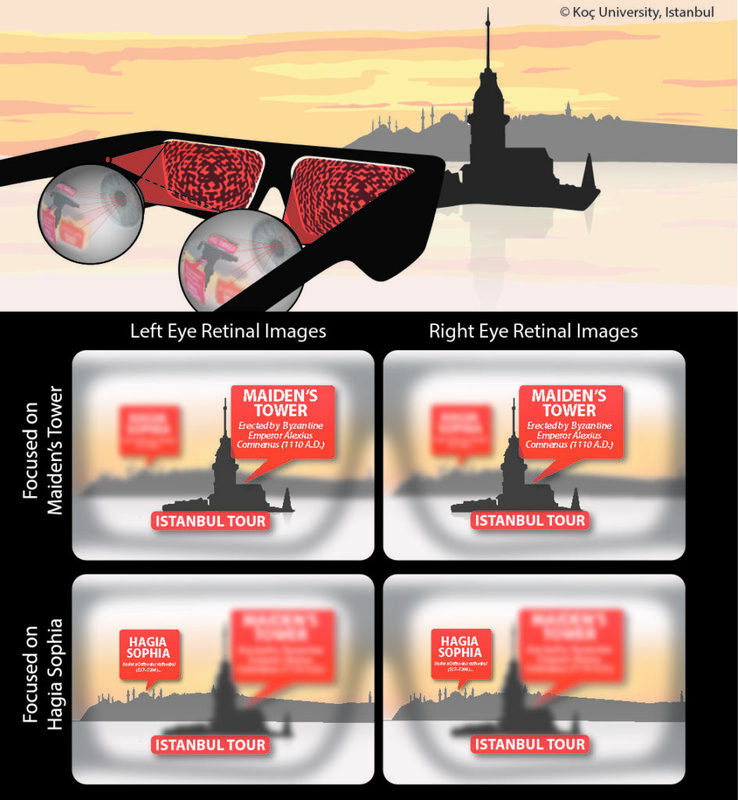 By using a head-mounted device and a special dual-purpose passive screen, 3D display and imaging is achieved simultaneously. The screen is mainly composed of two optical layers, the first layer is a projection surface, which are the finely patterned retro-reflective microspheres that provide high optical gain when illuminated with head-mounted projectors. 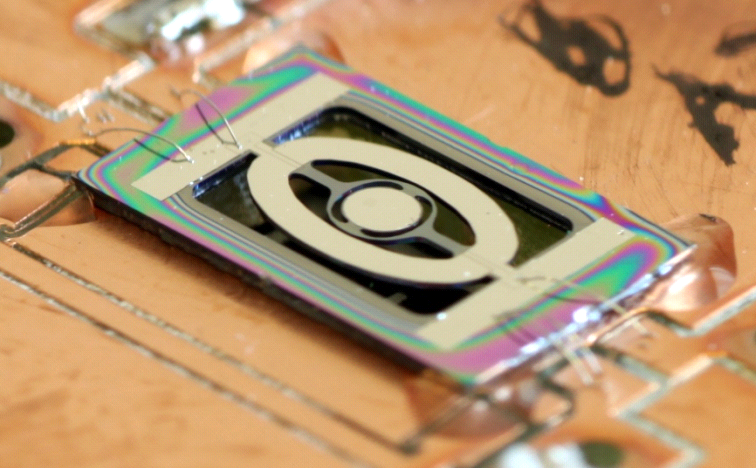 The second layer is an imaging surface made up of an array of curved mirrors, which form the perspective views of the scene captured by a head-mounted camera. The display and imaging operation are separated by performing polarization multiplexing. The output of this project will be a novel 3D mobile display which can capture the real world from multiple perspectives simultaneously. 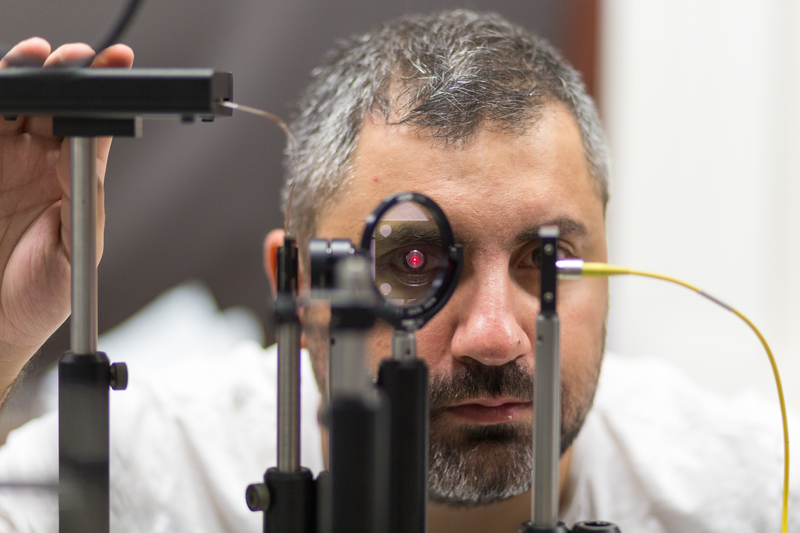 Tarabios is a spin-off from Koc University, Optic Mems Laboratory. The team is developing a POC/home use blood diagnostic device. 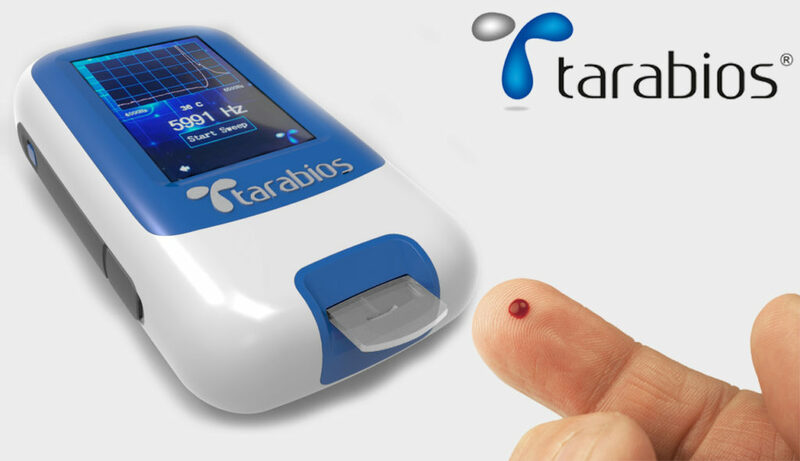 Intellectual property rights of the proprietary technology is under protection.Tarabios will offer a mobile device to monitor blood clot times for Warfarin Therapy patients soon. The platform technology will further be developed to enable multiplexed, low cost, easy to use point-of-need tests for cardiac markers, sexually transmitted diseases, hepatitis, tuberculosis and more infectious and other diseases. Currently, patients suffering from Parkinson’s use a number of medications for the treatment of their symptoms. However, these medications have many psychological and physiological side effects, examples of which are involuntary movement or personality disorders. Patients in the advanced stages of the disease may resort to a surgical procedure called the Deep Brain Stimulation. This procedure involves the implant of an electrode in a specific part of the brain and requires a pulse generator, or battery pack, to be implanted in the chest or collarbone area. For this reason, it is a considerably risky and expensive method of treatment.The device will not only replace the dependency on medication but it will also offer an alternative to the Deep Brain Stimulation procedure. As the device is wearable and easy to use, it increases the comfort of the patient. The main objective of this device is to carry Parkinson’s disease patients’ quality of life to the utmost level. Counterfeiting and fraud is a global problem that continues to grow year after year. In order to prevent that secure tags are being used in security printing and product authentication applications. In this project, systems that will read and decode Quantum Dot based Tags (Quantum Tags developed by Quantag) will be developed. 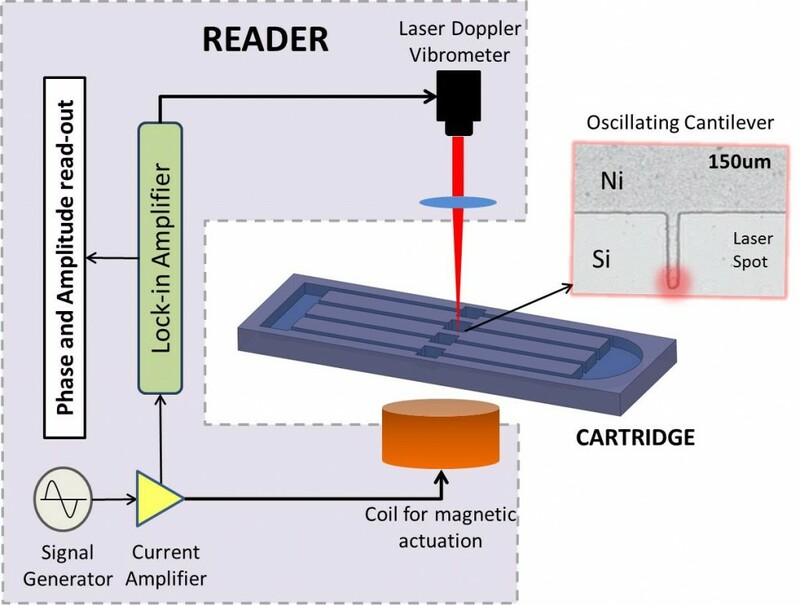 Compact and cost-effective hand-held and smart phone based readers will be developed that will implement complex algorithms to successfully and securely read Quantum Tags. 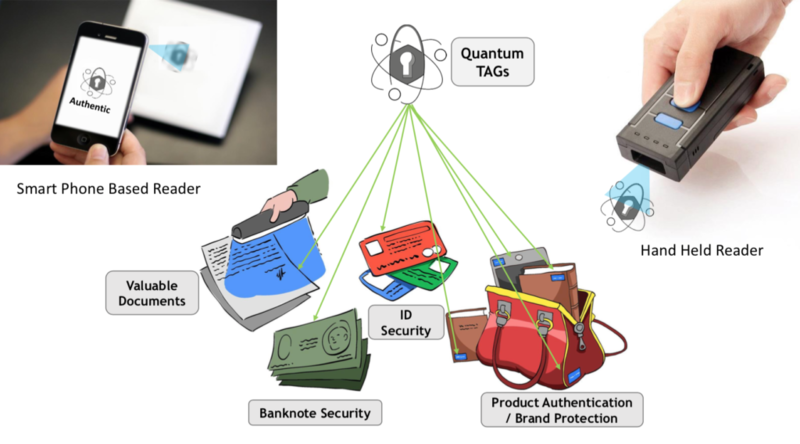 It is aimed to develop cost-effective and highly secure system to prevent counterfeiting and fraud in applications such as; banknote, passport, ID and valuable documents security, brand protection and product authentication.